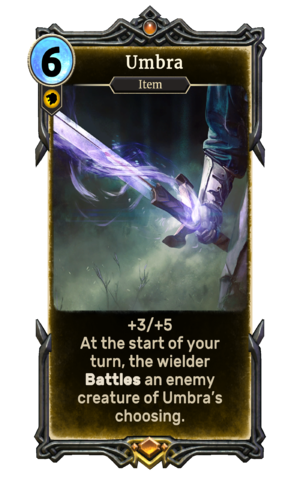 Umbra is a unique legendary Willpower item card. It is part of the Houses of Morrowind expansion. Umbra is a legendary artifact which first appeared in TES III: Morrowind. For more information, see the lore article.